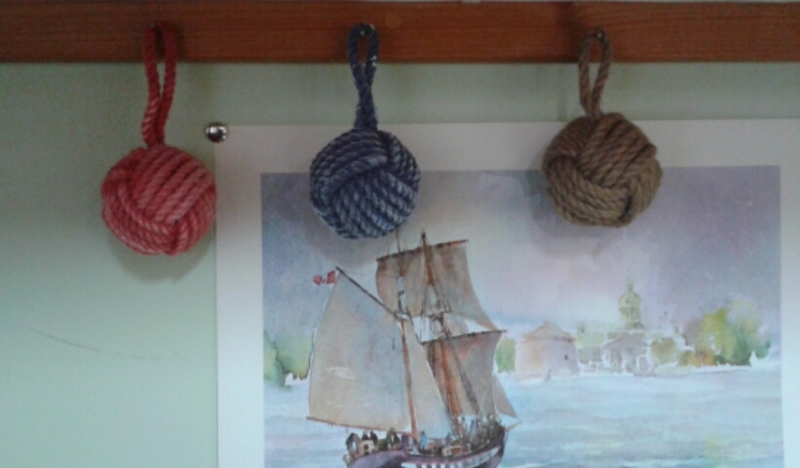 These cool little monkey fist knots will look great hanging from a nautically-themed Christmas tree. There are three colours to choose from, subject to availability, and they are only 2.25" in diameter. These are $6.50 plus tax and shipping.